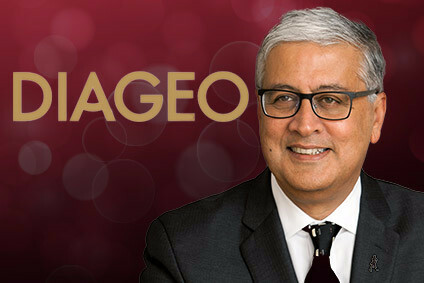 Diageo is set to report its second quarter and half-year results tomorrow (10 February). Here, just-drinks takes a look at the highs and lows for Diageo over its second fiscal quarter, the final three months of calendar 2010. In October, Diageo-controlled Guinness Ghana Breweries reported a swing to net losses for its most recent fiscal year. Beer sales were constrained by higher taxes and problems with infrastructure. Also in October, Diageo announced that it would take the brewing licence for Red Stripe in-house in the UK, and away from Wells & Young's. The drinks giant has sought to strengthen its beer portfolio over the last 12 months. It recently introduced Windhoek lager in the UK. In mid-October, Pernod Ricard said that its Jacob's Creek wine would replace Diageo's Blossom Hill as the official wine of the Wimbledon tennis tournament. Continuing the sports sponsorship theme, at the beginning of November, Diageo signed sponsorship deals with the national rugby bodies for England, Wales and Scotland. The three-year deals include pouring rights at stadiums and hospitality. In late October, speculation about Diageo's designs on LVMH's Moet Hennessy arm sparked back into life. Rumours of a deal were strong enough for the owner of LVMH, Bernard Arnault, to publicly deny any intention to sell the wine and spirits division. Diageo, which already holds 34% of Moet, declined to comment. Analysts, meanwhile, said that a deal is probably a case of when, not if, but not now. Also in late October, Diageo's head of global supply, David Gosnell, said that the Smirnoff distiller would target big savings in recession-hit Europe and North America. At the same time, he said that the group would invest GBP100m (US$160.7m) in African beer operations during the firm's current fiscal year, which runs to the end of June. One day later, Diageo announced that its East African Breweries Ltd had acquired a 51% stake in Serengeti Breweries for US$60.4m, positioning the brewer to challenge SABMiller in Tanzania's beer market. At the end of the month, Diageo unveiled a global marketing campaign for Talisker Scotch whisky, entitled 'Made by the Sea'. The campaign was launched in the UK with a marketing spend of GBP1.6m. However, the group was subsequently revealed to have committed a faux-pas by using an image of the French coastline in the campaign. In early November, Diageo announced the relaunch of Bushmills with new packaging. Around the same time, Diageo announced the launch of the full range of Zacapa rums in the South Korean market. Later in the same month, just-drinks revealed that Diageo was in talks with Zacapa's Guatemala-based owner, Industrias Licoreras de Guatemala, over Diageo's option to buy a 50% stake in the rum brand in April 2011. More mergers and acquisitions chatter emerged during November. Market speculation arose that Diageo was close to sealing its deal to take a controlling stake in China's Quanxing Group, which owns 39.7% of the country's Shui Jing Fang white spirits maker. Diageo has been awaiting approval of the deal from the Chinese Government and UK Government officials said that they would raise the matter during a state visit to China. Diageo continues to wait for approval. Back in the UK, Diageo became embroiled in a spat with the British Beer & Pub Association over its views on alcohol taxation. The trade body believes beer should be rewarded for its lower strength versus spirits, but Diageo said that all drinks should be taxed at the same rate per alcohol unit. In the US, Diageo launched its Moon Mountain vodka at US$19.99 per bottle. 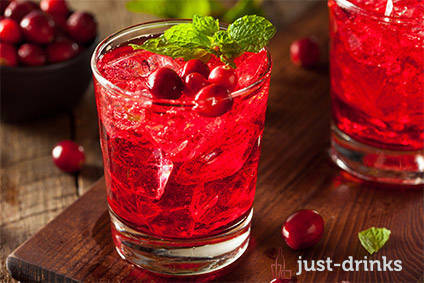 The vodka is produced from organic ingredients. In late November, Diageo officially opened its controversial Captain Morgan rum distillery in the US Virgin Islands. 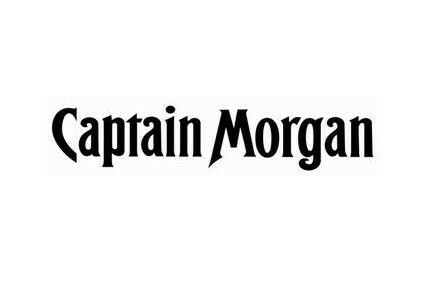 Once in operation, the distillery will have the capacity to distill up to 20m proof gallons of Captain Morgan rum per year. The controversy came when Diageo's decided to switch Captain Morgan production from Puerto Rico to the US Virgin Islands, a move that will see the Virgin Islands Government pocket an estimated $130m in tax revenue. In December, the US units of Diageo and Moet Hennessy extended their respective distribution agreements with Glazer's Distributors in Texas and Louisiana. Yet more mergers and acquisitions talk surfaced during the month. Diageo declined to comment on speculation claiming it was in talks with TPG Capital about a possible takeover of Turkish spirits firm, Mey Içki. However, the small matter of a six-year tax dispute with Turkish authorities might be a significant stumbling block to a deal. Later in December, analysts named Diageo and Bacardi as the frontrunners to buy and carve up Beam Global Spirits & Wine. Beam Global's owner, Fortune Brands, said earlier in the month that it would split its business divisions in the second half of 2011. Diageo lacks a Bourbon brand and Jim Beam could be the answer. Watch this space. Also in December, Diageo and Intercontinental Brands agreed a final settlement over the latter's Vodkat RTD brand. Intercontinental Brands agreed to change the brand name and packaging of Vodkat. Its decision follows a court ruling on the matter in Diageo's favour, in January last year. In the Middle East, Diageo said that it would double the size of its business in the region within the next five years by selling more premium drinks in travel retail at key airports. Net sales at Diageo's Middle East and North Africa business (MENA) rose by 16% in its most recent fiscal year, to the end of June 2010. Finally, one of Diageo's last moves of the quarter was to announce that it would move the global brand director for its Guinness brand, Brian Duffy, to become its first global category director for beer. Duffy will be accountable for conceiving the total category strategy for Diageo's beer brands. For Diageo's Q1 results, click here.